I’ve previously written about this topic about a year and a bit ago – however, as with everything, we get itchy fingers and hardware evolves. (It’s also one of the few remaining hobbies I have outside photography.) I made what could be seen as a rather reductionist change (single output, single source) from the spread I was juggling before. Personal audio is one of those things that I think people either land up using quite heavily by virtue of personal needs (e.g. long public transport commutes, time on airplanes etc.) or never really venture into – the situation for use has to be right. It also seems to be one of those things that more photographers than not have some level of interest in; I have no idea why. Perhaps it’s the gadget factor. There’s a whole discussion around sufficiency and enjoyment and practicality that almost mirrors that of photography; the critical difference for personal audio is that user skill has no influence over the output result, unlike photography. Personal audio listening is an entirely consumptive pursuit, not a creative one. But of late, I can’t help wondering if there are some things we can take away as photographers, too. I needed more storage, eventually. And I broke another pair of headphones. I didn’t make the mistake of MiniDisc, but I did with the ‘Network Walkman’ that required proprietary software to load and convert tracks. I didn’t see the point of the iPod at the time (and couldn’t have afforded one, anyway, on a trainee accounting salary). Things took a step up when I changed jobs and landed up flying twice a week, almost every week. That 1h commute became 6-hour beginning at 4am on Monday, and ending at midnight on Friday – or worse. Being able to take a few hours out here and there – both in transit and sometime during the week – became even more important. Cue the gear path: better source, better output. A larger setup wasn’t an option as things had to stay portable to be able to take on the road. I think personal portable audio didn’t really take off until the iPhone became an embedded part of modern culture, but at least in 2006, it wasn’t quite so difficult to find better (and more exotic) headphones. I discovered the joys of multiple drivers and learned why one might prefer balanced armatures over dynamic drives and vice versa. The 2006 pair – a launch edition set of UE Triple.Fi 10 Pros – lasted over ten years and wasn’t bettered until very recently (though as with all gear obsessions, it didn’t stop me from trying). ‘Garbage in, garbage out’ became soon apparent. If you had poor mastering and poor recording, then even an uncompressed source file would be no better sounding than an MP3. And if you had a good source file, you still needed a good player that paired well with the headphones you were using – both in sound signature and more technical qualities like output impedance and sensitivity. Cables started to matter, and I experimented with various copper and silver options – I’ve come to like the warmth of copper, but sometimes having a silver mix is also nice to preserve clarity. Too much copper can be muddy, and too much silver fatiguingly sibilant. And not all headphones paired with all cables. After several diversions through cable changes, source changes, headphone changes, Sugru-based custom fit experiments etc. – I came to the conclusion that I was still missing something in the fit department (and not really able to use any IEMs for more than a few hours, insufficient for a long haul flight) – either because of comfort or simply not staying in. Turns out custom mouldings or modifications to the housing were the way to go. It also turned out that sound is highly subjective; one man’s meat is another man’s poison and all that. I didn’t like most of the modern offerings because they were either far too bass-heavy, or too shrill. Balance was lacking, with most companies electing to turn things up to 11 on either end to cater to either bias. Firstly, let me say this: the universal demos are delivering perhaps 70-80% of what you get from the finished customs, assuming there’s a good fit. And even then, they’re usually better than the mainstream universal fit IEMs. Secondly, be prepared to wait a long time. Thirdly, be prepared to make some very unpleasant discoveries. Here comes the photography parallel: I equate these headphones with medium format. The relative cost is there, the specificity is there, and the same ‘at-this-level-everything-is-really-good-and-you-are-splitting-hairs-based-on-personal-biases’ feeling is there, too. And moreover, you land up fully aware that the width of the envelope in which full performance is delivered – and enjoyed – is really, really narrow. 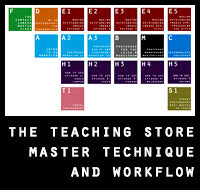 And contingent on the rest of your ‘workflow’ or components in the chain. The stock cables sounded terrible, so I landed up with Linum BaX; these opened up soundstage and added a bit more clarity, whilst being easier to wear and microphonic-free thanks to being very thin. Unfortunately, they are easy to tangle – specifically because they are very thin. My iPhone sounded okay, but not great. I put that down to iTunes AAC as a source, and in came Tidal Hifi (which I still think is great for the access it gives you to such a variety of music to experiment with, and the ability to cache FLAC offline). Then I ran out of space on the iPhone, and made the mistake of trying alternative DAPs, so a new one of those was in order – a Pioneer 100R, something that ran Android and thus had Tidal support – and really good sound; expansive, immersive, transporting. It pairs well with the UE18s. But it’s another lump to carry, so I’ve now also got a tiny Audioquest Dragonfly Red DAC-amp that plugs into the bottom of my iPhone; fortunately this pairs very well with the UE18s too, and gives me almost all of what the 100R does. Actually, the more I listen to it – the more I prefer the output from the Dragonfly; it’s a bit smoother, more liquid, and somewhat redolent of tube amplification, but retaining the pace and attack that modern equipment gives (and suits modern music). The only downside is that it seems to chew through the iPhone’s battery rather quickly, meaning either a charger or battery pack is necessary for extended sessions (not a problem if you’re on a plane or at your desk, of course). The Dragonfly also has the advantage of being a plug and play USB DAC-amp that will play nice with a computer, which in turn you can use with your favourite streaming service. I think the universality and cloud access of Tidal was the other switching point for me – pick the most convenient device (some with offline music support, such as the 100R and iPhone based app) and just plug in – they all sound much the same, which is good. You should give the Audeze iSine a try. They are extremely impressive. No one has mentioned the DUNU DN-2000 Hybrid 3 way earphone. I am a composer (music prof) and have found these to be, to my ears, the best I have ever used. Excellent sound quality, and even the packaging is extremely high end. But as noted, a very personal choice. I’ve used that red Dragonfly with Grados and it was great, but a bit cumbersome to hang off my laptop or phone. Check out Totem Acoustic when you have GAS for speakers. I have been a fan of the UE for years … for travel I have the Triple Fi 10 at home the UE Capital Studio Reference IEM. I need to find a balanced DAC … the Dragonfly is SE but still sounds great. my Oppo BDP-105D as a DAC … Spectral Pre and Chord two channel amp. Yes they are – I had an earlier version of those on the Triples, until they broke (replaced them with some copper custom cables from Hong Kong). I’m using Linum BaX now. I’ve heard a lot about the RSA stuff but there’s just no way to demo it in my part of the world – some amps just don’t work for me, and add unnecessary complexity/weight without changing sound appreciably. Interestingly, early and late TF10s sound very different. Hi Ming, your point about headphones for commuting touches a nerve with me. I spend a lot of time on trains and planes and never managed to find a set of IEMs that really cut the noise out. I’m currently using a set of Bose IE25 noise-cancelling headphones. Sonically they are average at best, but at least I can hear them instead of my fellow passengers. They are also pretty bulky. I’d be interested in the thoughts of you or your ever-erudite community – is there a better compromise for noisy environments? I tend to listen to a lot of orchestral / classical and so the ability to hear quiet passages over background noise is important. John Brady, did you try customs IEMs? Custom fitting really makes a huge difference, in comfort and in blocking sound. I’ve had two pair of customs, from Westone and from Jerry Harvey Audio. I prefer the sound of the JH Audio IEMs, but the Westones have much better sound isolation.I find that IEMs present a different problem: They isolate so well, blocking out not just steady sounds (as Bose do) but also sudden sounds, that it becomes a problem. People (i.e., flight attendants) talk to me and I don’t notice. And I would never use them where there could be safety issues, like walking on a sidewalk in a city. There is one other probably with IEMs for travel, specifically for flying: pressure. As altitude and cabin pressure changes, the pressure differential changes between the inside and the outside of your ear. This affects the sound, and it can become a bit uncomfortable. 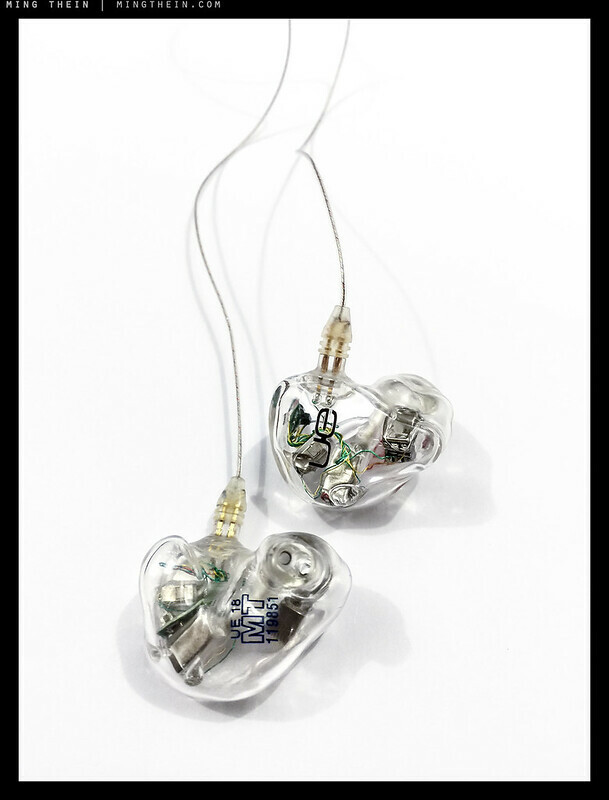 It’s simple enough to fix: Just pull the IEMs out periodically and reinsert. It’s a bit of trouble and expense, but if you haven’t tried custom IEMs, I recommend you do. Try isolation rather than cancelling – I find noise cancelling produces unpleasant sonic pressure that fatigues or induces nausea (personally). Isolating earphones are much like earplugs: you hear nothing of the outside world, so music can be played at much lower volumes. You could start with universal IEMs and get the right tips (I prefer soft silicone) or go for broke and have customs made (which will offer the most isolation) – they also fit better and generally offer higher sound quality, too. Always an interesting topic my current state of play – Still using the Sony XBA-Z5. I really like the sound signature. Admittedly the fit could be better, but it doesn’t really bother me. Plus I wear them in an office environment and not really fussed about total isolation. I still have the Sony ZX1 walkman – really should sell it, it’s a terrible match with these headphones. All my music at home played via my hi-fi is FLAC – it should be noted the majority is house/techno where I notice the difference. I’m also still using CDs for certain albums. However I’m not sure I can really tell the difference on the go. Hence I am only using Spotify on my phone and so not bothered with ‘hi-fidelity’. I will look into the mini amp though, I think that may be a nice experiment to do – especially if it plays nicely with the Mac. You could even just try the Dragonfly Black – I’m told that’s nearly as good as the Red, and half the price, too. Fit issues: try some sugru to add little hooks to sit in the fleshy part of the ear – can make a huge difference. Ah yes, totally forgot about the sugru idea, I remember we discussed it a while back and then totally forgot! – You had a pic somewhere of how it looked? Alas no, I removed it to convert them back to universal. will report back on the results once i get around to doing it! I put a stop to this when I drew the line with an iBasso DX50 and my remaining 3 pairs of Yuin PK2. These days my only source are rips from my collection of jazz and classical LPs, mostly 24Bit/96kHz flac. Ears know its limitations. 128GB cards are cheap when they are on offer, 4 of these easily hold 600 albums …. As i work a lot away from home and I must take my music with me, over the years the rips they added up. In addition to a portable player, I also keep those music on my notebook. When attached to an iBasso D7 DAC via USB, I sometimes travel with a pair of Audioengine A2+ speakers, all very small footprints. And I am in therapy for GAS! has a *great* online library of classical music. Those IEM’s look great… if only I could work from home I’d need nothing else other than my Sennheiser HD600’s. Understanding very well this statement, I still tend to respectfully disagree, being an audiophile for many years as well as aspiring amateur photographer. Here is why, in short. Various components of a hi-end system need tune in and synergy as we say, and “failure in the end result” can come from changing one only – the result can be seriously influenced by the valve or capacitor choice or by the power of your amp, ICs and so on – understanding the impact of each on the end result requires a specific “predictive” skill, becasue ut can also get very costly.. Quite the same as in photography – your choice of exposure, DOF (aperture), light, focus or no focus, the subject matter and overall composition balance or lack of same – determine the output to a large extent. Choice of camera / glass do the same. My choice of Hybrid amplification over “same quality” SS or pure valve, determine the output. My choice of files to listen to – MP3 320, FLAC of hi-res FLAC (raw vs Jpg in photography) and their initial processing (eg upscale in SW) or avoidance of same – determine the output. I can go forever with this, im sure you understand my point. Thank you for great articles, which i follow and read with interest ! In the good old days, we simply called this “matching” components to get the best end result. Or synergy if you like. However, this is not the same as the creative aspect of photography. In audio, unless one is a creative artist recording their own performance, or builds kit engineered for a specific sound, no matter how successful one is at matching, one is still left with no creative input. The creation, if one may call it that, is the original source material. I can do, and have done over five decades, mix and match components to engineer an overall sound I prefer (but not necessarily anyone else will) but what is creative about this? I am stuck with using the same music source material, be it CD, SACD, MD, LP, shellac, and commercial releases on compact cassette or reel to reel tape. My own music collection comprises music on all these formats. And then there is no forgetting radio. If one may include this, then I can add DAT to my playback source. Yes, one can indeed select a variety of camera gear to suit one’s purpose, but it still needs the creative input of the photographer to produce images. If I can draw an analogy with your original post, it would be to say that the photographer would use a variety of gear, but simply to keep repeating taking the same image over and over again. One may expect subtle differences owing to the sensor, and signal processing within the camera, but apart from this, all the images would look almost identical. No, the creative photographer doesn’t do this. They go out to capture all manner of subjects. This is the creativity I believe Ming may be referring to in his comparison. Bingo – the subject matter and composition are analogous to the music itself. Still not convinced by wireless, personally…except in environments with ambient noise so high it doesn’t matter anyway, e.g. on airplanes or in the car. It does have the potential to be equivalent, but the hassle of having to charge each device separately is rather annoying – and means game over if you’ve got uneven battery life or forget to charge one device. Just goes to show how innovative Sony has been over the years in consumer electronics. On the other hand, it also means that the previous flagship ZX2 is also seeing a pretty big drop in secondhand prices. And it’s a pretty capable player in itself as well (128gb internal storage, 33 hours battery life), with the only caveat that it is mostly suitable for IEMs. And what, if I may ask, would be the music of your choice? It does on Tidal if you select gapless and sync the album offline first. The MiniDisc mistake? Please explain. Except for the limited playback time, that product seemed to me — at the time it was current — to be a superb bit of technology. For those who couldn’t afford DAT recorders it offered the full capability of PCM audio including the ability to do nonlinear editing. Given adequate input (quality microphones and perhaps a passive mixer if several were needed) that little shirt pocket sized recorder/player could capture and reproduce anything from an acoustic guitar to a full symphony orchestra with amazing fidelity. The big shortcoming, it seemed to me, was that the MiniDisc was a transitional medium on the way to solid state media with massive storage capacity. I believe one can only say that the MD was a transitional medium on the way to solid state with hindsight. Sony’s first MD came out in 1992 with the ubiquitous iPod coming out much later in 2001. So any thoughts that solid state was just around the corner, so to speak, is pushing it somewhat. And any thoughts of the optical media being problematic for longevity never materialised either, IMO, which is more than can be said for recordable CD’s or DVD’s which use dyes. I was an early adopter and all my MD’s still play. My final purchases were a JB930 with Atrac DSP Type R, and a Net-MD MZ-NH1 and which I still own. On my hi-fi system comprising Meridian digital electronics, Chord amplification and Quad electrostatics, my JB930 provides better audio quality than 320kbps mp3. Could this be down, in part, to the mp3 decoding engine in WMP? Are there better ways to encode mp3? I don’t know. No, one of the many real problems with MD initially was its high price. Sony intended MD to be a replacement for compact cassette and in this respect it was a dismal failure despite MD being better in every respect, except in sound quality when cassettes were used with hi-end recorders such as the Nakamichi 700 Mk II, (yes, I’ve got one of these, too) or the 1000 “Dragon”, or other top end models from other manufacturers. And as you say, there was a dismal shortage of pre-recorded music compared to compact cassette and LP. And initially it wasn’t marketed too well by Sony, either. Then, of course, MD was also competing with recordable CD’s, using stand-alone recorders. Initially, blank disks for audio were far more expensive than those used as data storage. The price was artificially high for the audio disc as it was exactly the same as the computer blank! Still, there were ways around this, with the Marantz CDR 630 being especially amenable as it could be tricked into recording on computer blanks. Although MD’s editing functions were far superior as a recording/replay medium, it still couldn’t compete and recordable CD’s and eventually solid state players like the iPod killed it off. But MD soldiered on until early 2013. Does it have any remaining advantages that were never replaced/bettered by current media (a la SACD, for instance)? Well, SACD is replay only, and probably offers the highest audio quality of any current audio format, although I haven’t heard DSD. To my ears SACD can be astonishingly transparent, especially with some of the RCA releases of its classical recordings from the 1950’s and 1960’s on its Living Stereo label. And let’s not forget Mercury’s Living Presence recordings either. In pure audio terms, no, MD can’t approach this by any stretch of the imagination. But if we were to compare like with like today, we are really looking at mp3 and at a pinch, compact cassette. And here, MD scores on its usability and flexibility. With CD, and any format using tape, be it cassette, reel to reel, DAT, one is severely curtailed by the recording medium and it is not possible to edit a recording. I’m not talking about splicing reel to reel here. For example, if you want to erase tracks, you can, but are left with fixed lengths of tape on which to insert a fresh recording. And this is only possible if timings match. With MD, you can erase, say, tracks 3, 7 and 8 from within a recording and the space is actually recovered to enable further recordings. And track order can be sequenced at will by the user as can track information and tracks can be joined or split. I know some CD’s have info, but it is not standard across the board. Apart from actually using an editing desk, the only other domestic format that I know of that has this flexibility is Panasonic’s RAM Disc for video, but even this falls short of what can be done with a mini disc. And one aspect of MD that gets overlooked today as it simply isn’t a problem for solid state storage, is that when compared to portable tape players and portable CD players, MD is far less prone to skipping tracks. Ahah! Thanks for the detailed information. How does MD re-order tracks to maximise space? Or does it just insert tracks where space exists and then the controller software does the linking? SACD/DSD: I’ve heard both, though I didn’t hear that much difference between them either – it’s quite possible my reproduction equipment wasn’t up to the task though. Ming, it works the same as a pc hard drive. SACD and DSD are the same thing. Rather, DSD is the marketing name for PDM–pulse-density modulation–and SACD is the name Sony gave to their discs containing DSD. I guess any audible differences would then solely be in the playback/DAC? Ming, If you were to listen to the same well-recorded mix and master of a particular piece of music in DSD and high-resolution PCM, you would struggle to hear a difference, even with an excellent system/excellent headphones. But you’re right that the player or DAC can make a significant difference. Lately I’ve been reviewing a lot of DACS, and they do sound significantly different from each other. Almost all of them these days can play both DSD and PCM. I understand, though, that the players are not always compatible, and wasn’t this something of a problem given their initial high price? I think potential uptakers were worried not to get into a format war as was experienced with Betamax and VHS. Neither disc format has really taken off, but from what I gather SACD seems to be more widely used. There was a very serious format war, between DVD-Audio (which is PCM, same as CD but at higher resolution and bit depth) and SACD (which is PDM, or DSD, or single-bit). They both lost. DVD-Audio and SACD refer to silver discs containing different, competing formats. The formats are PCM (aka PCM) and DSD (aka PDM) After a few years, players that could play one silver-disc format could usually play the other (although many played neither, sticking with old-fashioned CD), but both are dead now (although DVD-Audio is deader). What has survived is the formats themselves, freed from the silver discs, usually downloaded and played from servers. DVD-Audio’s format is basically the same as CD, but with higher bit-rate and sampling frequency. (Think more pixels with better dynamic range.) It makes the most sense. DSD is a flawed format for a variety of reasons, including practical ones, but it can sound superb. If you have an audio server you can download either high-res PCM (equivalent to the format on DVD-Audio) or DSD (equivalent to the SACD format). Each format has its adherents/zealots, but both sound really good with good recordings. Both (and all their variants) can play on modern digital-to-analog converters. I have both in my music collection. Jim, or am I getting confused with the DVD-Audio disc? Terry, it is possible you’re confusing DSD with DVD-Audio, if that’s what you mean. SACD discs contain music in DSD format. DVD-Audio is in a different format, similar to CD but, as I said, higher in resolution and bit-depth. Thanks, Jim. You’ve correctly identified my confusion! I’m gonna have to add this to my list… right after I get my full frame camera. Gees Ming. Here I am sitting at my desk about to head to bed and now I’m spending time I hadn’t planned on new rabbit holes to explore ;). And I thought my Shure SE535s were all I need! But your mention of the Linum BaX cables got me very interested. I may have to try a set of those on my 535s and finally break down and get earmolds made. Thanks for helping me spend money I didn’t know I needed to spend! The BaX seems to cure bass bloat without sacrificing clarity – not sure if that was an issue for you or not on the 535s. When I tried those I loved the mids, but the top end was not quite right – it wasn’t too much bass as perhaps not enough treble definition. I started at the audio end–I write for Stereophile, the American hi-fi magazine–and have found my interest in photography/camera ever-expanding (the budget unfortunately not so much), so it’s interesting to read your perspective on audio. I’ve had custom IEMs for years–probably got my first ones about the same time you did–but I don’t travel much these days so I listen mostly on a nice home system. There are technical parallels between audio and photography that you didn’t go into: Fourier transforms and noise and resolution all that. Since you mentioned Tidal Hi Fi, I’ll mention MQA, a new technology just introduced by Tidal that aims to fix some of the time-domain “smearing” introduced by conversion from analog to digital and back again; I’m not quite sure how to think of the parallel with photography, but it’s probably equivalent to seeking better spacial resolution in exchange for color accuracy. It’s new and not yet fully supported–for now you can only get MQA through Tidal’s desktop app, not the IOS one. It requires a special decoder, but Tidal provides one in software (again, desktop only, not IOS), and I think your Dragonfly may be able to do it with a firmware upgrade, but I’m not clear on that. If you were to try MQA, I’d be interested in knowing what you hear–interested in the perspective of someone (you) who spends so much time thinking about parallels things in the visual realm. MQA: I think Astell & Kern were pushing it for many years already; it doesn’t seem to have taken off just yet. I do remember some of the sample tracks included with an earlier AK player I had were very, very impressive in what I think of as the acoustic equivalent of micro contrast. Ming, could you be mistaken, mixing things up with some other format? MQA is not an new technology from Tidal. It is an invention of Bob Stuart of British high-end audio brand Meridian, and officially introduced late 2014. It is basically a very clever way of compressing a hi-res music file. Theoretically it’s lossy compression, but done in such a clever way probably no one will be able to hear the difference. The importance of MQA lies not in the quality of the format, it is not better than for instance an 192 MHz/24 bit PCM file (remember: it is lossy compression). However, the clever compression means that you can enjoy hi-res audio from a file that’s roughly as large (or small, depending on how you look at it) as a standard CD-quality (44.1 KHz/16 bit) file, thus for the first time allowing hi-res audio to be streamed. Tidal is the first streaming audio service reported to start streaming in MQA. As for portable music players: I don’t think Astell & Kern players support MQA yet, at least their newest (entry level) player, the AK70 does not. The first portable player to support it was your very own Pioneer XDP-100R, although according to some sources, it needed a firmware upgrade for this. Out of the box, MQA is supported by the new Pioneer XDP-300R and Onkyo DP-X1 (which is no coincidence, as both devices are technically identical, a result of Onkyo acquiring Pioneer’s Home Electronics division in 2015…). I agree Kiekjeskieker, what Ming described doesn’t sound like MQA. Respectfully, I’d refine your description a bit. I’m aware I’m taking a risk of going too far off-topic here, so I’ll keep it as brief as I can. MQA is a combination of technologies, not just a compression scheme. Most important, probably, is that it strikes a new bargain between the frequency and time domains, favoring time-domain integrity to a greater extent than any past encoding scheme I’ aware of. (There’s always a trade-off between frequency-domain and time-domain integrity; most past schemes have focused on preserving the frequency domain–making sure the frequency response is “flat”. It is true, as you imply, that these trade-offs become much less costly as you increase sampling frequency. MQA is able to compensate for problems introduced by digital filters in the recording chain so that it can offer optimal impulse response (a time-domain equivalent of what photographers would think of as real-world resolution). I’d also like to address your observations about MQA being “lossy”. It sounds odd to say so, but it’s actually accurate to say that it’s “part-lossy”, and it’s important to consider which part. We can’t hear beyond 20kHz, and yet music–overtones of several instruments–extends all the way up to 50-60kHz. Frequencies above 20kHz are of course lost on CDs (and similar-resolution files), but can be preserved in high-resolution files. (This assumes of course that the music was captured by microphones capable of extended frequency response.) To keep all that information–all the music on the highest resolution recordings–requires sampling at approximately double that rate, so 100-120kHz. So even 96kHz sampling can lose some of the music, theoretically. If cameras were doing this, they’d be insisting on keeping frequencies of light way above those we actually see, on the assumption that it may still impact what a photograph looks like. What, then, is higher in frequency than the music? Noise. Still, MQA assumes this higher-frequency noise can affect what we hear, so it does what it can to preserve it. It’s in this realm–the realm where there’s nothing but noise–that MQA compression can be lossy. This is based on the claims of the company–of Bob Stuart in particular. While Stereophile has made some measurements that have, up to a point, supported MQA’s claims, these claims have not been entirely independently verified. Jim, thanks for the refining. I was trying to be brief, which is why I used the term ‘theoretically lossy’. I’m a fairly technical guy, but there is much I don’t know about the technology of both audio and photography. I’ve studied MQA, but I haven’t paid that much attention to the compression part, because I find it less compelling. The part that’s compelling to me is the improved sound and how it’s achieved. Still, the compression is impressive. Not sure about the analogy–and I mean exactly that, I’m not sure. Over-exposure and its consequences seem to me to be equivalent to dynamic compression in music. Precise analogy actually: You record to “hot”–peg the meters–you lose a lot of information. The “loudness wars” have encouraged that. Much better to record at lower levels and leave plenty of headroom. When you do that, you still lose information–same with cameras. Best to use the full dynamic range and no more. But it’s far better to err on the side of underexposure. ETTR does not mean overexposure, just ‘placing the signal’ where it can be recorded with the most information in it. The article is in Dutch, but I guess from the graphs you get the idea (also, there’s a link to a youtube video in English. It might contain the same info, but I haven’t watched it, so I’m not sure). Sorry, I should have commented on this earlier. Astell and Kern used (and may still use) the acronym “MQS” in their marketing to describe their players. It is a trademark registered to iRiver, the Korean company that owns Astell and Kern. Its meaning isn’t clear; it appears to stand for “master quality sound,” although that isn’t specified in the Trademark registration. Its meaning isn’t clear, but as far as I an tell it simply refers to high-resolution (probably especially PCM) audio; that is, it’s a way of saying that the A&K players are capable of playing back high-res, in contrast to your average iPhone. I believe there is no connection between MQS (mastering quality audio) and MQA (master quality authenticated).